Proprietary Name: Heb Antacid Calcium Assorted Berry What is the Proprietary Name? 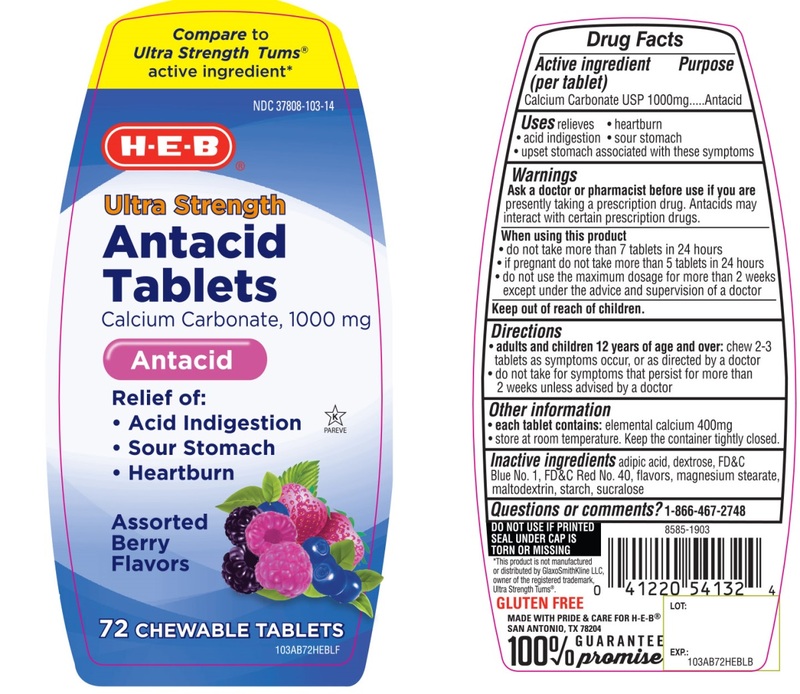 Heb Antacid Calcium Assorted Berry with NDC 37808-103 is a a human over the counter drug product labeled by Heb. The generic name of Heb Antacid Calcium Assorted Berry is calcium carbonate. The product's dosage form is tablet, chewable and is administered via oral form. •each tablet contains: elemental calcium 400mg •store at room temperature. Keep the container tightly closed. Adipic acid, dextrose, FD&C blue #1, FD&C red #40, flavors, magnesium stearate, maltodextrin, starch, sucralose.